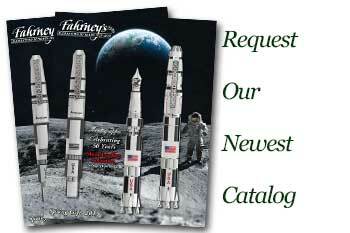 Order your Retro 51 Cursive Tornado Rollerball today from FahrneysPens.com. Fine Pens, Refills & Luxurious Gifts – great prices & fast shipping. Show your love for cursive writing with the newest member of Retro 51’s Antique Metalsmith Tornado series! 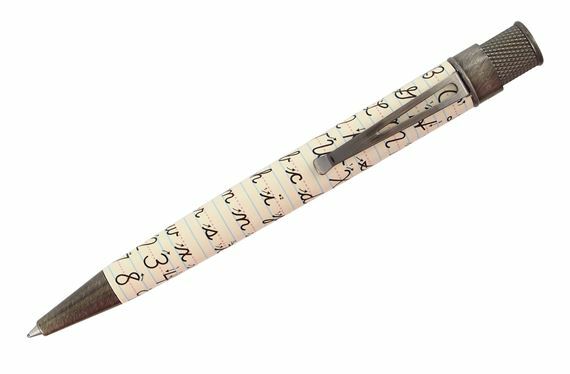 Inspired by classic grade school handwriting manuals, the Retro 51 Cursive Tornado Rollerball has a metal barrel screen-printed with the script letters, accented with antique silver-colored trim. The Tornado twist-top retractable rollerball gives you smooth-flowing ink. It can be switched to a ballpoint by replacing the rollerball with a ballpoint conversion refill (sold separately).